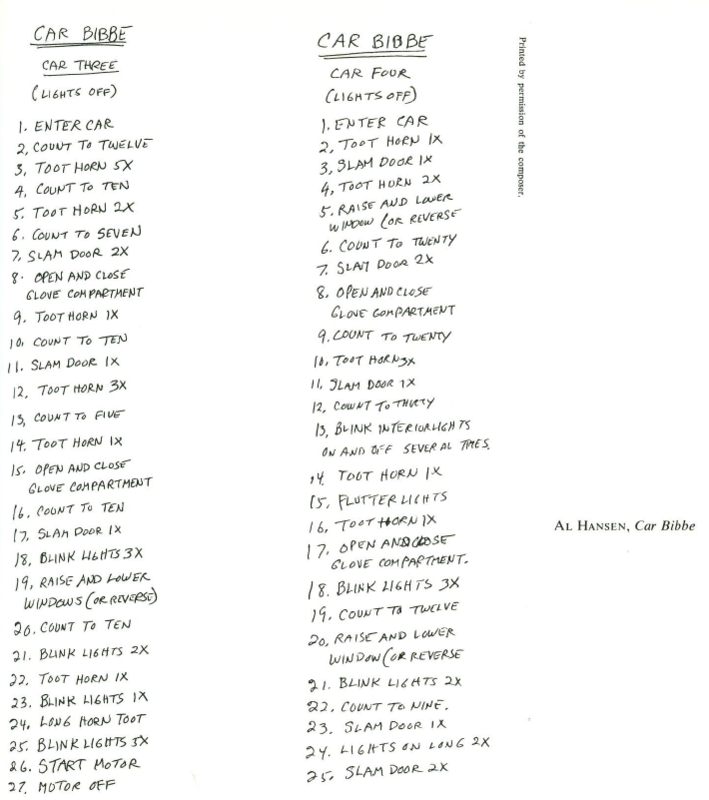 I think it’s really easy to give composer John Cage a bad rap. Water Music? 4’33”? This is music that seems to be deliberately purposeless; avant-garde to the extreme. Much of his music can be likened to the practice of throwing paint on a canvas and surveying the chaos. It’s controversial. It’s confusing. It can be very difficult to listen to or enjoy. Perhaps John Cage programming is still selling out for good reason. Although his music doesn’t make sense, and even though it can be argued that one of the “selling” points of his music is its senselessness, there’s something thrilling about music that can be made out of radios: both in the possibility of the soundscape, as well as in the satirical jab (according to Alex Ross) at the cacophony of modernity. 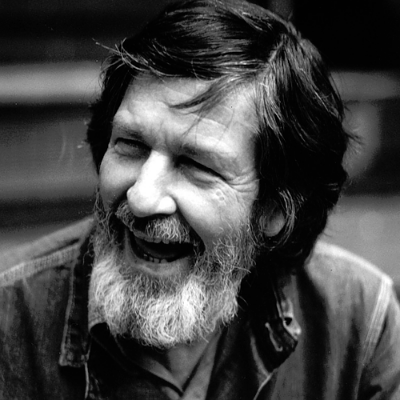 Musicologist James Pritchett outlines in his 2009 article “What Silence Taught John Cage: The Story of 4′ 33″” many of the themes that made Cage famous. “Sounds are just sounds, all equally valid; that a composer acts as experimenter, discovering new sonic possibilities; that it is important to use twentieth-century technologies to create twentieth-century music.” The famous and controversial 4’33” is an example of such experimentation; a piece that is perhaps more than just merely the evidence of a destructive avant-garde where the movement implodes into nothingness. The silent concert hall devolves into the dissatisfied shiftings of a confused audience, and the ambient sounds in the stillness, and these reactions are what makes the piece, more than the silence. …when we actually set to work, a kind of avalanche came about which corresponded not at all with that beauty which had seemed to appear to us as an objective. Where do we go then? . . . Well what we do is go straight on; that way lies, no doubt, a revelation. I had no idea this was going to happen. I did have an idea something else would happen. Ideas are one thing and what happens another. The ongoing revelation involved in chance music can bring with it a certain excitement. John Cage’s Notations, a collection of scores and quotes from a variety of different composers, is a museum of mid-century notation following many of the same principles of chance music, revelation, and the expansion of the musical landscape. The book collects music manuscripts accompanied by passages written by roughly 269 composers. The manuscripts are arranged alphabetically. However, the text for the book was determined using I-Ching chance operations (for more information on John Cage and his use of I-Ching, especially with “Music of Changes,” read here). 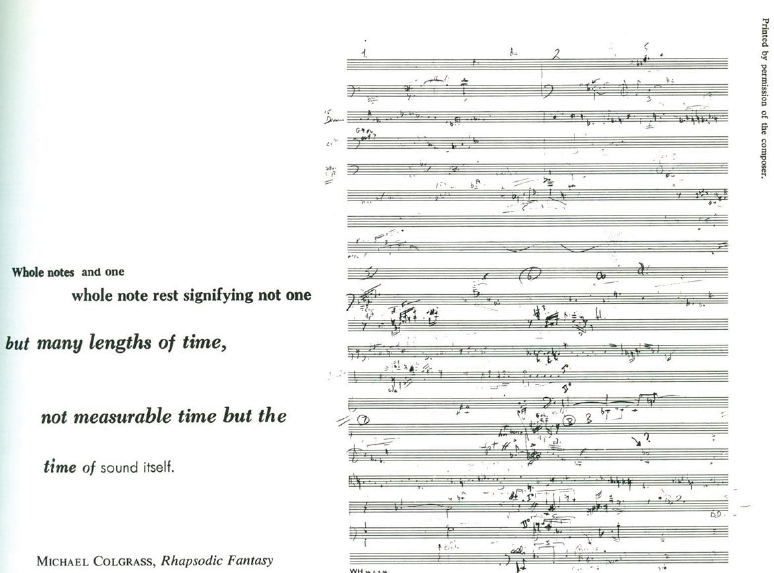 Each composer was arbitrarily given a certain number of words to write. The typography too, with letter size, intensity, and typeface, was determined using chance operations. The act of notation is twofold, appearing both in the manuscripts and in the words themselves. The result is an exploration of notation through notation, and the relation of notation to the sounds they supposedly represent. Many of this music has never been performed. Probably most hasn’t. To most readers, the music appears bizarre and indecipherable; verging on notation for the sake of notation. In that case, most of the manuscripts are more of a visual experiment, or a visual approximation of noise. 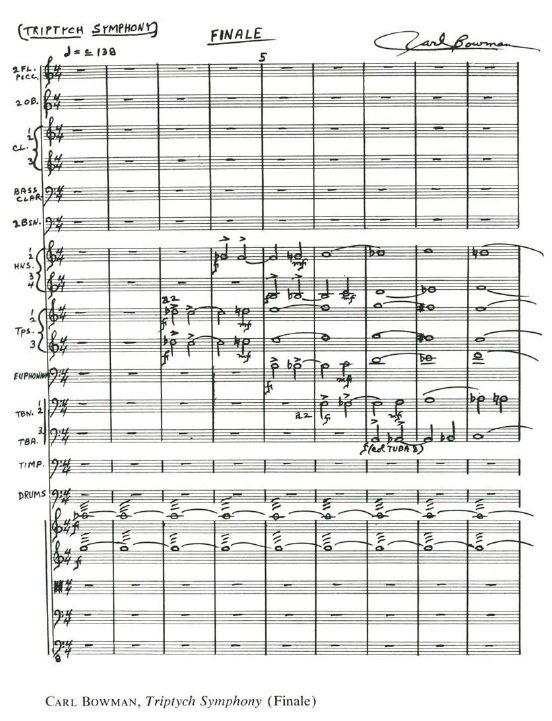 The manuscripts range from the more traditionally notated, like Carl Bowman’s Triptych Symphony. Others, like Compose, Part I (1966) by Milko Kelemen (shown below), are more abstract. The quotes are likewise thought provoking, asking, “What is notation anyway?” And what is the relationship of the visual to the aural? Notation of sound in time and space must give its information as clearly, as precisely and as beautifully as possibly. While it is primarily a chart for ears, it must play provocatively and irresistibly on the eye. A painting appeals to inner senses through the eye. A score of sound must reach these senses through the ear through the eye. Notation is important on a aural level first and foremost as a conveyer of correct sound but is also important on a visual level and its appearance must not be discounted entirely. If in history we knew music through notation, it’s because we worshipped images. Images are not dead: they live and speak. It appears, then, that many of these quotes are a play at elucidating the importance of something a bit hard to pin down. Traditionally, we’ve seen notation’s importance as a way of preserving music for interpretation and performance. How it looks on the page becomes just as important as what you hear. But how successful is it at representing what we hear? How good is it at transcribing what the composer wants the performer to play? There are things that are notated and performed, and other things that are performed and not notated. IIf notation is supposed to be exact, then most notation falls short. For the most part, we are fine with that. No music performance is a perfect reproduction of its original, and part of the beauty of a live performance is the active reinterpretation by audience and performer. The question of notation comes up too in dealing with music that is experimental, much like many of the pieces in the book. Having standard notation means that a piece of music can be translated and played by most people, given the proper training. It’s a little too easy at times to look at the notation and fail to find its sonic equivalent, and that would seem to imply that the notation has failed. The effort of notating something could mean that it is meant to interpreted, though this doesn’t have to be the case. Maybe some of it seems to veer on the edge of desperation — an attempt to innovate when all convention has been exhausted. But some of it, accessible or not, truly spotlights the trippiness of capturing a diversifying harmonic and instrumental palette. If the sound that emanates from a car horn can be considered music, then that means that the methods of notation that we have traditionally used could be rendered inadequate. If the soundscape is changing to the extent that Cage says it is, then there needs to be an expansion of notation, just as different kinds of notation (jazz notation, for instance) is needed for different kinds of music. This book is ultimately eye-catching and thought-provoking. It also makes us question ourselves about our methods of representing knowledge, facts, and ideas, not just music. And isn’t this blog post too another attempt at an artistic representation through words — bits and fragments from different studies and biographies and books and essays — to form another portrait of an enigmatic way of looking at art? Ultimately re-notating it in a blog post for someone’s digestion, or indigestion. 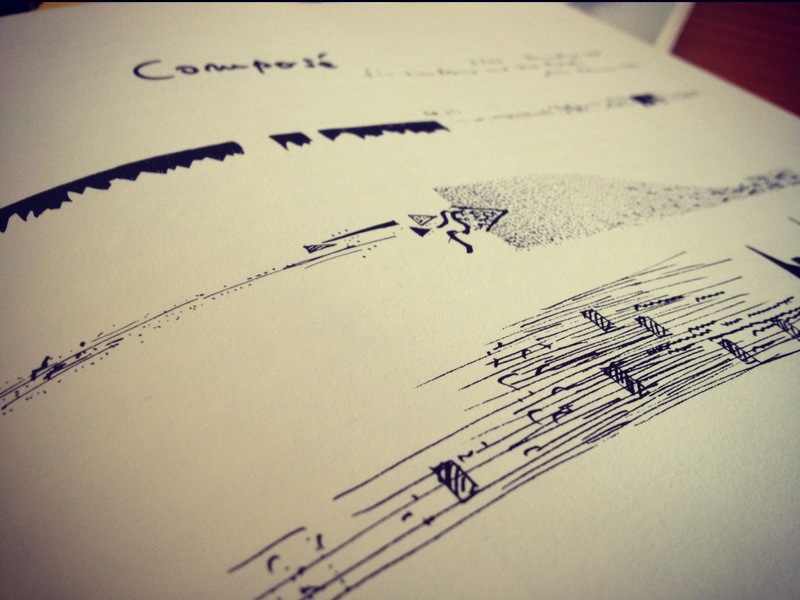 Thank you so much for the post on John Cage – extremely informative and inspiring for a visual artist (like me) who loves music. Is the book you reference titled “Notating John Cage”? I would love to try to find, or other examples of his notation for use in paintings about music. If you know of a way to find some, please let me know. Thank youagain for your wonderful blog. Hey Teri! Thanks so much for your lovely comments. The visual aspect of the book was really what struck me when I first saw it. The book is called “Notations” and should be available from libraries. It’s also downloadable for free as a PDF from here: http://www.bendofbay.org/2008/08/27/john-cage-notations/ and I used that to get a lot of these pictures. I’m sure you’d love it! It’s a massive volume that has a wealth of pictures, diagrams, and quotations both accessible and obscure. Let me know if you paint anything inspired by it! I’d love to see it. Thank you! It will take some time to digest the new influences and “language”, but I can’t wait to get started! I’ll post the results.